Pearls have historically bedazzled women with its serenity, beautiful hues and high reflective quality. No wonder pearl earrings made from these natural gems complement almost all attires and personalities; adding an aura of mystery around the wearer. Below we have mentioned some of the popular options available vis-à-vis varieties and designs. Black pearl earrings look stunning when crafted in stud design. A single large natural gem set in either gold or silver base, locked in place with the help of a bar which passes through the ear lobe and, a catch at the back. It looks exceptionally classy making it a must have accessory on any woman’s jewelry list. Pink freshwater pearl earrings due to their form factor, makes them a perfect candidate for a drop design. A gold chain with two or four pink natural gems at the end sets it apart from the others. It is a piece of embellishment worn on anniversaries and other occasions connected with romance. This piece is very diverse because the pearl earrings can be worn for any informal occasion as well. Golden South Sea pearl earrings on the other hand are the most desired accessories because of their rarity. The warm glow and soothing golden color reminds the onlooker of sun’s yellowish radiance. This is a resplendent option with extraordinary luster. Popularly crafted in Hoop design these are available either in semi-circular or circular shape, as well as the classic round shape. 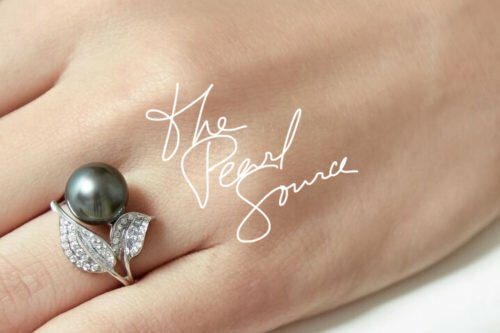 Extracted from Pinctada Margaritifera, off the coast of Tahiti in French Polynesia, black pearls are a class apart. These black sea gems sometimes due to their strong green overtones are also referred to as “peacock green” pearls. Peacock green earrings are the most sought-after due to their inherent hues and thick nacre. The most popular assemblage available is the stud design crafted from a gorgeous 9 mm round beauty in 14 carat white gold post. Finally, multi-colored pearl earrings are for the people, who like to flaunt their style. A dangle design crafted from these organic lovelies is sure to keep the wearer stand out in a crowd. These pearl earrings will add a sophisticated touch with its beauty and elegance in various shades. Is It Too Early To Start Preparing Your Jewelry Collection For Winter?